What better way to kick off American Heart Month than with a Motivation Monday? If you’re still looking for a reason to stick with your healthy resolutions, this is a big one. There’s simply no time like today to take stock of how well you’re taking care of your ticker. That includes evaluating how much cardiovascular exercise you’re incorporating into your routine. I’ve always been amazed at how people react to just hearing the word cardio, which is short for cardiovascular exercise. People like me can’t get enough, while others simply dread it. However, since cardiovascular exercise is defined as any movement that gets your heart rate up and increases blood circulation, that doesn’t mean you have to walk nowhere on a treadmill or clock miles on a stationary bike for an hour. Tabatas, other high-intensity training methods and circuit training done with little rest in between sets are all great ways to get that much-needed cardio boost for your heart and the rest of your body. 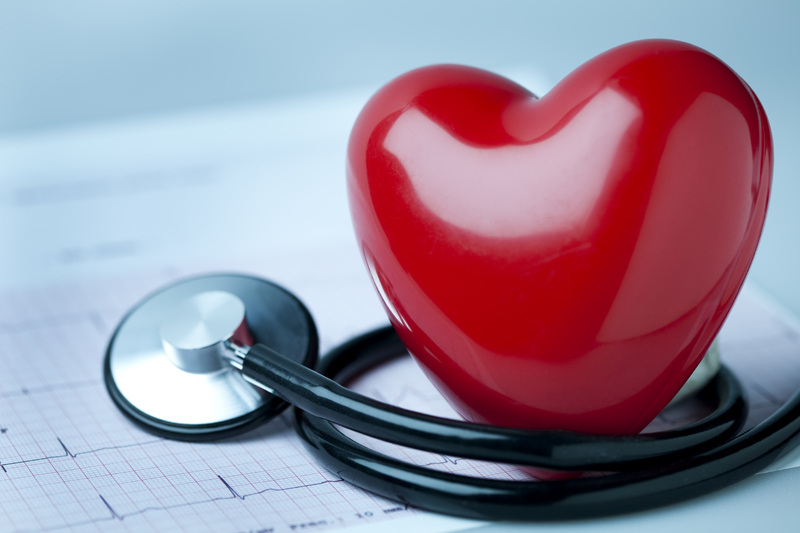 About 610,000 people die of heart disease in the United States every year. That’s one in ever four deaths. Coronary heart disease is the most common type of heart disease. While your family history can put you at greater risk, there are lifestyle choices each of us can make to decrease our behavioral risk factors for heart disease. These include obesity, high blood pressure, smoking, high cholesterol and diabetes. Guess what? Along with quitting smoking and following a healthy diet, getting exercise one of the most powerful weapons in the fight against heart disease. I’m not saying you have to run out to a boot camp class or sign up for a half-marathon during today’s lunch break. I’m talking about 30 minutes of activity five days a week. Still overwhelmed? Try this: break those 30-minutes down into two 15-minute or three 10-minute sessions. If you’ve never exercised before, there’s no time like American Heart Month to get moving. Schedule brisk morning or evening walks around the neighborhood or get a fitness game for the kids’ video console. If you’re thinking of joining a gym, sign up with a workout buddy for support. Try different group exercise classes until you find one you like so you’ll look forward to sweating it out a couple of times a week. Treat yourself to a couple of personal training sessions so you learn to safely navigate your way through a fitness routine. This is your health we’re talking about. You’re the one who has the final word on any decision that can help you have fun, be fit and feel fabulous! Posted on February 1, 2016, in Fitness, Health and tagged American Hearth Month, Benefits of Cardiovascular Exercise, Cardio, Heart Disease Statistics, Heart Health, Motivation Monday, Personal Fitness. Bookmark the permalink. Leave a comment.